What was Jerusalem like at the time of the Savior's birth? How did Satan's temptations of Jesus prepare him for the beginnings of his public ministry? Why were people astonished at the doctrine Jesus taught in the Sermon on the Mount? If you've wondered about such questions, you'll appreciate the insights and answers contained in From Bethlehem through the Sermon on the Mount, an outstanding collection of a dozen chapters by Latter-day Saint scholars presenting up-to-the-minute research and analysis of the Savior's birth and the early years of his life. This book provides the benefit of recent scholarship viewed through the lens of the Restoration. New research and discussion continues to cast greater illumination on the life of the Savior. This collection of highly accessible essays by respected, prominent LDS scholars delves into aspects of the Savior's life and ministry from the Mount of Transfiguration to his triumphal entry at Jerusalem. More than a scriptural commentary, the essays draw from the latest research to develop the historical and social context surrounding these events, offering a more complete view of what actually transpired. Improve your understanding of why crowds became increasingly polarized in their reactions to Jesus Christ, and discover a new wealth of information about the Savior. Gain a deeper understanding of the crowning events of the Savior's ministry as fourteen Gospel scholars offer fresh insights and details of the last days of the Savior's mortal life. These essays include discussions about such topics as the legal and historical events surrounding Jesus' arrest, trial, and execution, Roman methods of crucifixion, and Jewish burial customs. Includes chapters by S. Kent Brown, Andrew C. Skinner, Richard D. Draper, M. Catherine Thomas, and many more. What impact did conversion to the gospel have for first century Gentiles? How were the words of Jesus transmitted prior to the writing of the Gospels? 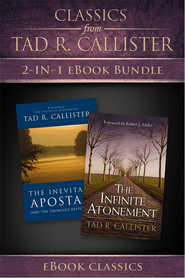 How do the epistles from Peter and John relate to those from Paul? How can we know what messages the book of Revelation has for us today? If you’ve wondered about such questions, you’ll value the answers in this book. 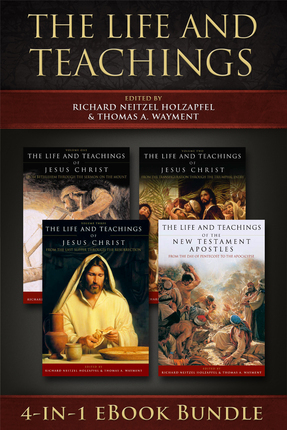 A follow-up to the three-volume work The Life and Teachings of Jesus Christ, this book includes fourteen chapters by faithful Latter-day Saint scholars trained in various New Testament disciplines (ancient history, Greek and Latin, Roman civilization, geography). 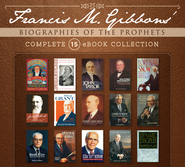 They share up-to-the-minute research on the ministry of these remarkable missionaries and leaders. The risen Lord commanded His disciples to take the message of His suffering, death, and resurrection to all the world. This book helps readers see how that commandment was fulfilled — and inspires in us a desire to be witnesses of the Savior in our day. Fantastic read, recommend it to all! 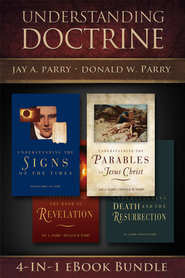 This is a great set of books for anyone who is sincerely interested in exposing themselves to the very latest research regarding the life of our Savior. 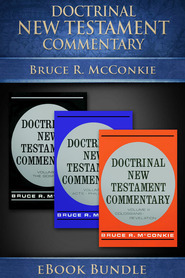 The authors of this book have done an outstanding job of providing us with pertinent and exciting information that has given me a renewed interest in studying the New Testament Gospels.